Add this barstool to your home bar or kitchen counter for a stylish seat with a touch of tropical style. 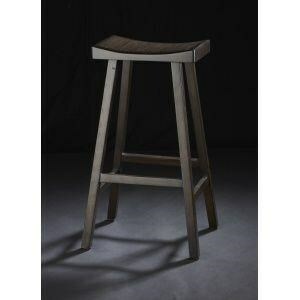 The stool features a mahogany frame with a carved bamboo top for a bit of tropical flair. Tapered legs and clean lines add contemporary appeal, while the Dark Walnut finish provides rich tones. The Vista Barstool by C.S. Wo & Sons at C. S. Wo & Sons California in the Southern California, Costa Mesa, Orange County, Long Beach, Anaheim, Los Angeles, South Coast Collection area. Product availability may vary. Contact us for the most current availability on this product.